Aqua-Wood offers installation services by teams of experienced and highly qualified installers. 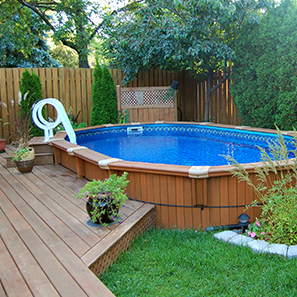 As a leader in the treated wood pool field, Aqua-Wood offers installation services (depending on your region) by teams of experienced and highly qualified installers. In addition to simplifying the installation process, a two-year installation warranty is added to your main warranty when we install the pool of your dreams. 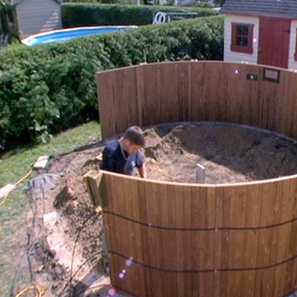 Want to install your pool yourself? Whether you’re a novice or an expert, all you need to do is follow our step-by-step simplified installation guide. 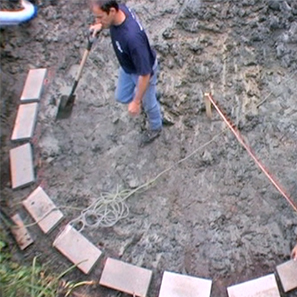 In order to adequately prepare the site, a site visit must be done and the ground must be marked. 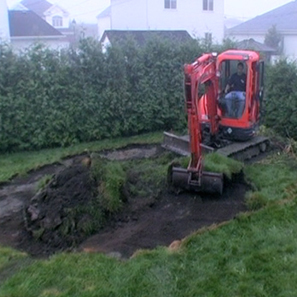 The ground must then be excavated. A cement-block base, an efficient drainage system and good backfilling are essential elements for a successful installation. Wall panels must be assembled and retention cables must be affixed. Lastly, the insulating foam, vinyl liner and borders must be installed. Installing the filtration system is a major step in completing your pool installation and for the general maintenance of your pool. Once the pool is filled, there is nothing left to do but relax and enjoy your new peaceful oasis! 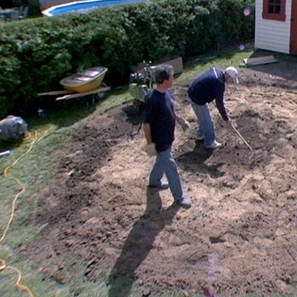 In order to adequately prepare the site, the ground must be marked, turf must be removed and the foundation must be prepared. Wall panels must be assembled and retention cables must be affixed. Lastly, the insulating foam, the vinyl liner and borders must be installed. 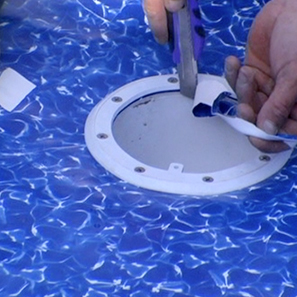 Installing the filtration system is a major step in completing your pool installation and is important for the general maintenance of your pool. 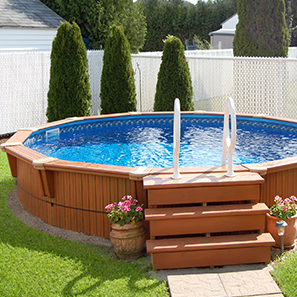 Our in ground or above ground pools made wholly of treated pine are both sturdy and elegant. Thanks to the different configurations and multiple stain colours available, you can create a peaceful haven in your own backyard. This summer, dive into your dreams! Our highest-quality product and our stellar customer service will guarantee you peace of mind. All you’ll have to worry about is how best to take advantage of your new peaceful haven.